StopAfib.org recently announced the results of a national online survey conducted by The Harris Poll of more than 400 people (aged 45 and older) living with Afib. Five million Americans have Afib – the most common heart rhythm disorder – and for them, living with the condition and the increased risk of stroke has both a physical and an emotional impact.1 According to the survey, more than half of people living with Afib (56 percent) report that they are constantly worried that if they have a stroke they will be a burden on their families; 71 percent say that when thinking about managing their Afib, reducing their risk of stroke is most important. People with Afib have a five times greater risk of stroke, yet oral anticoagulants – the most commonly prescribed treatment to reduce that risk – can lead to serious complications, such as bleeding.1 Despite concerns, 41 percent of people with Afib say they rarely or never discuss the risks of oral anticoagulants with their healthcare provider, and 40 percent wish their physician talked with them more about it. These findings demonstrate the need for more physician and patient conversation about all the available options to reduce stroke risk associated with Afib in order to determine the best approach for each individual. While 95 percent of those taking oral anticoagulants believe that the benefits of using the treatment outweigh the risks, almost as many (81 percent) wish that there was a treatment as effective at reducing their risk of stroke that did not have such risks. And, 38 percent of those taking oral anticoagulants feel trapped between their fear of having a stroke and their fear of the risks associated with oral anticoagulants. If someone has a history of major (serious) bleeding while taking blood thinners, has a lifestyle, occupation or condition that puts them at risk for bleeding, or takes warfarin and has trouble staying within the recommended blood clotting range, device alternatives may be an option. However, according to the survey, 85 percent of people with Afib are unaware of device alternatives available to reduce their risk of stroke. It is always recommended that you should adhere to a healthy diet whether you are well or sick. However sometimes it takes a health scare to take your diet more serious and you should. What you eat is something you can take ownership of to improve your overall health and combat cardiovascular disease. The first step is education. Thanks to the internet and all the health experts that publish information online, you have great resources right at your fingertips. Here are a few sites that provide useful information on diet and atrial fibrillation. These are just a few sites that have information on diet and AFib. Take some time to search, read and learn on how diet can improve your overall health and quality of life. And don’t forget to ask your doctor what you personally can do to improve your health. Technology holds great promise to make life better, especially for those monitoring chronic issues such as afib. Reducing visits to the ER, living active lives and having peace of mind are top of mind. And, having a device that provides high quality ECGs for physicians is critical. As the easiest to use and only product that is FDA-cleared for afib monitoring (recently rated 5 stars for quality and ease of use), AfibAlert continues to be a top choice for physicians and patients alike. How to Assess Your Risk of Developing AFib? With atrial fibrillation (AFib) becoming so much more prevalent among the aging population and visible with all the advertising seen on TV for the new anticoagulants, it’s natural to wonder if you or any of your loved ones (husband, wife, grandparents, parents, aunts, uncles, etc) should be concerned. The downside risks of having untreated AFib are great – stroke, heart attack and kidney failure. You don’t have to wonder or worry to better understand your risk of developing AFib. Some simple health risk assessments are published online by very credible organizations that can help you understand if you should be concerned. Here are two that we know about that you can take online and share with your physician. If you have any concerns about your health, don’t hesitate to speak with your physician immediately. Everyday Health has a simple 10 question assessment available online to help you understand what risk you may have for AFib – Are You at Risk for Atrial Fibrillation and Stroke? The Heart Rhythm Society assessment is just a bit longer with 11 questions, but most of them are very similar to the questions found in the Everyday Health assessment – AFib Risk Assessment. Atrial Fibrillation, or Afib, is a common cardiac rhythm disturbance that increases in risk with advancing age and affects more than 3 million Americans every year. (Hague, 2014) As prevalent as Afib is, patients don’t seem to be very aware of tools available to help them monitor their condition nor the benefits of taking a much more active role in the management of their Afib. It is widely proven that Afib presents many health risks. The most concerning is the elevated risk of stroke for Afib patients. These risks increase drastically when patients are unaware if they are affected by or in Afib. Patients can get more involved and there are affordable heart rhythm monitors that accurately detect Afib available to patients that are extremely easy to use. Dr. Robert Baker, who has been practicing cardiology for 18 years, has learned firsthand how failing to home monitor is detrimental to patients with Afib. More importantly, exploring any heart rhythm disturbances is key to discovering whether you are affected by Afib. Afib is a condition that should not be taken lightly. In addition to the risk of stroke, it can increase the risk of heart failure and overall weakens the heart muscles. Fortunately, Afib is something that can be monitored and managed with the right diagnosis and tools. Heart rhythm monitoring products have improved the ability for patients to manage their Afib from home as often as they like and for very little cost. According to Dr. Baker, with reliable technology, notifying a physician when the patient monitors an Afib episode has greatly improved communication and control of one’s Afib. At home monitoring can increase the quality of life in patients with Afib. It is important to manage symptoms, as well as monitoring oneself to detect episodes when there aren’t symptoms present or noticeable. Heart rhythm monitors with the ability to detect Afib are key to monitoring at home. 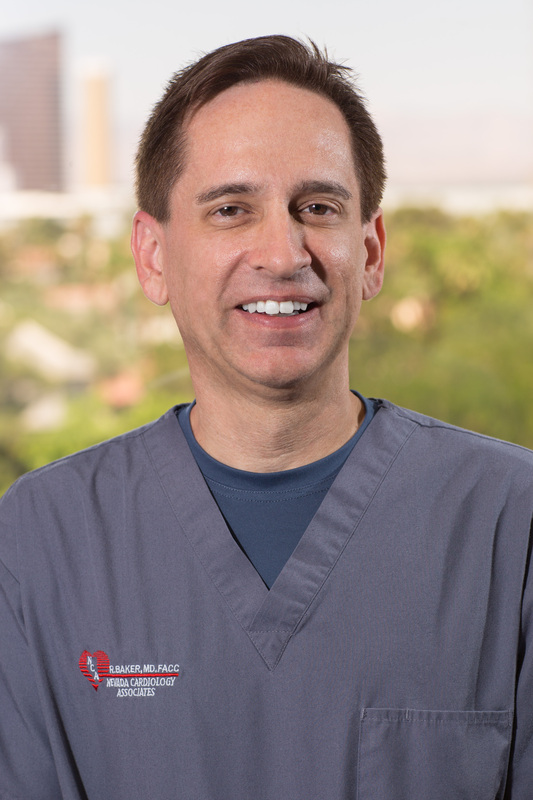 Dr. Robert Baker has been practicing cardiology for 18 years. His experience with home monitoring in patients has allowed him to learn the importance and necessity of outpatient AFib monitoring. New afib research from Circulation, the journal of the American Heart Association, demonstrates the importance of screening for atrial fibrillation. Screening for asymptomatic atrial fibrillation (AF or afib) in people aged 65 and over and treating it with anticoagulant medications could prevent many thousands of strokes worldwide each year, says a top-level panel of experts in today’s issue of Circulation, the journal of the American Heart Association. About 10 percent of ischemic strokes are caused by AF that is first detected at the time of stroke. Asymptomatic AF which underlies these strokes is not uncommon and can be easily detected by simply taking the pulse, or by handheld ECGs that provide a diagnosis in less than a minute. Statistics from the World Heart Federation show 15 million people have a stroke each year, nearly six million die, and another five million are left permanently disabled. “Widespread screening for asymptomatic atrial fibrillation in people aged 65 years and above could cost-effectively reduce strokes and their associated disability, and help save lives,” says Hills. “However, this is not yet widely recommended in guidelines. The White Paper calls for governments worldwide to introduce screening for all older people, at age 65 or possibly older. Programs could be run through GPs, pharmacies, or in the community, and could be carried out with pulse checking, a blood pressure monitor or, ideally, a handheld ECG device, the best tool for rapidly offering a firm AF diagnosis. AfibAlert® is one such handheld device that gives instant feedback with medical-grade accuracy and is FDA cleared for clinical and in-home uses. Find out more about how AfibAlert® provides quick and accurate screening in any type of environment. The first clinical research case-study of its kind found that patients with heart failure (HF) to be more at risk of death if diagnosed with AF, the American Journal of Medicine reported. “Risk factors with the largest population attributable fractions of death within 90 days were heart failure (15.0%), malignancy (12.2%), and hypertension (11.4%). For example, assuming a causal relationship, if heart failure were eliminated, 15% of the deaths within 90 days would have been avoided,” according to the joint Mayo Clinic and Olmsted Medical Center case-study. No up-to-date information about associated mortality risks for AF patients had yet to be conducted before this report, which aimed to set a baseline for the occurrence of atrial fibrillation (AF) in a 10-year period for a specific population. The study focused on 3,344 Olmsted County, Minnesota, residents diagnosed with AF or atrial flutter from the years 2000 to 2010. Looking for both the prevalence of AF and survival rates among participants, researchers compared Olmsted residents’ data with correlating U.S. general population demographics. The analysis found that the incidence of AF in Olmsted remained stable, which was consistent with similar studies conducted by the Atherosclerosis Risk in Communities Study (ARIC) and Medicare beneficiaries during similar periods. “A dramatic excess risk of death was observed within the first 90 days after atrial fibrillation diagnosis,” while survival during this time did not improve from 2000 to 2010, researchers concluded. Additionally, AF was shown to be riskier for patients with certain preexisting conditions. Atrial fibrillation—a quivering, or irregular heartbeat— was originally deemed a rising epidemic in the late 1990’s as the graying of America started to take effect. The risk of developing AF increases dramatically with age and will have serious public health ramifications, as the U.S. is expected to have 6-12 million cases by 2050, according to The Lancet independent medical journal.